Believe it or not but these beautiful neckties are some of his earliest and most conservative designs while still using wonderful color combinations that to me are a hallmark of his fabric designs. Intricate paisley and linear patterns in shades of blue with red accents on royal blue background. An original Pangborn Design tie from his earliest collections. 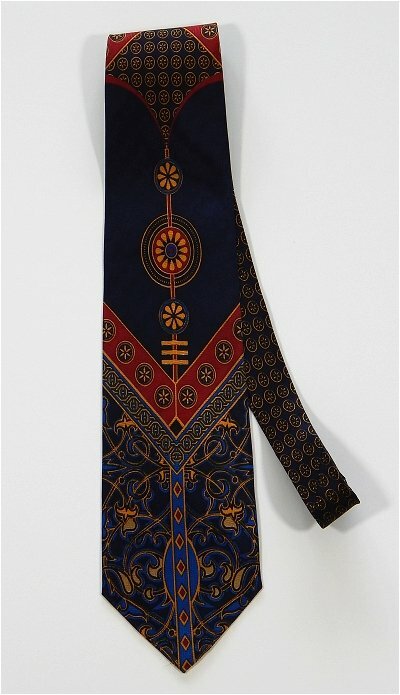 One of artist Dominic Pangborn's earliest tie designs, the Balanced tie combines intricate graphic designs in red, blue and gold on a navy background. The balanced achieved with color and pattern make this tie design a classic. Paisley and geometric patterns on navy anchored by deep red. 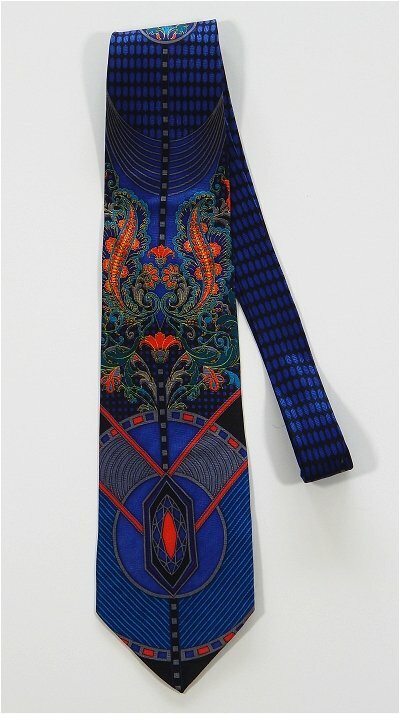 One of artist Dominic Pangborn's earliest tie designs, the Refined tie combines intricate graphic designs in red and gold on a medium blue background. Small floral patterns in light blue and gold provide the perfect balance to a Pangborn Design classic. 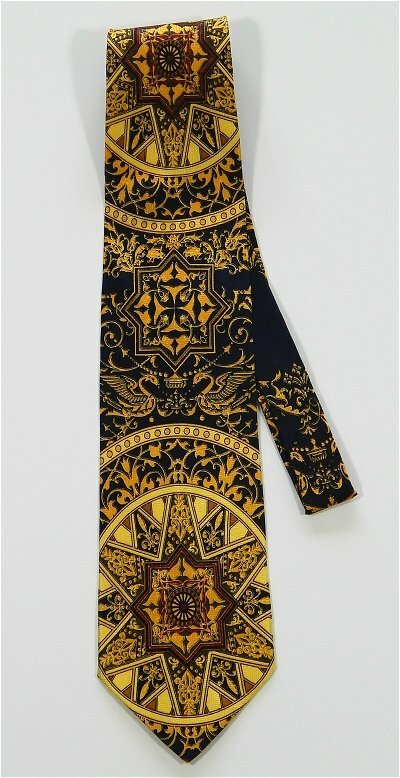 One of artist Dominic Pangborn's earliest tie designs, the Starry Night tie is a display of intricate yellow and gold star patterns within stars, circles and fine graphic designs. The black background highlights the intricacy of the patterns and showcases the perfect balance of a Pangborn Design classic silk tie. Soft yellow graphic and linear designs on gray and black background. Delicate geometric accents in black, gray and yellow. 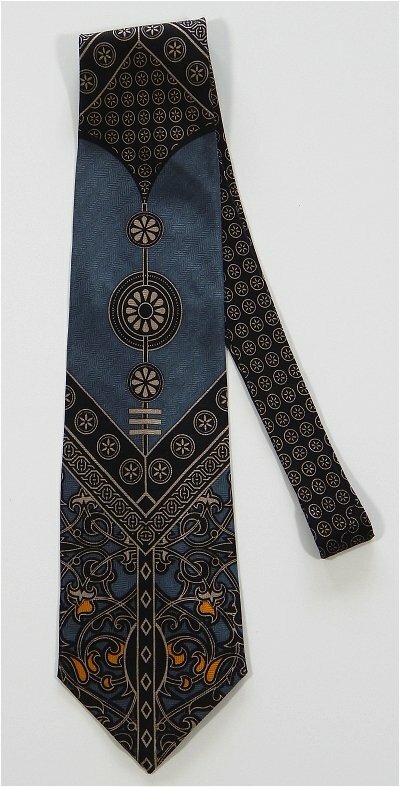 An original Pangborn Design tie from his earliest collections. Elegant black and silver intricate designs within stars and circular patterns. Soft silver designs fill in around stars on black background. 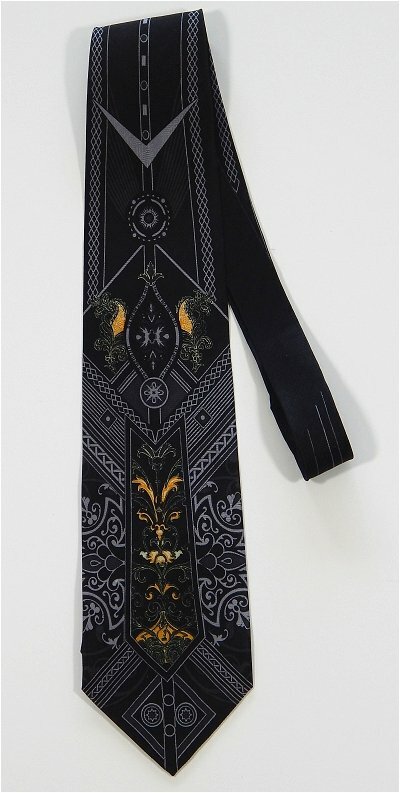 An original Pangborn Design tie from his earliest collections. Soft gray graphic and linear designs on darker gray background anchored by beautiful teal graphic design. Delicate geometric accents in black and gray. An original Pangborn Design tie from his earliest collections.